We find that engaging in creative arts can be a powerful healing experience for breast cancer survivors facing health challenges. Healing arts helps in so many ways including expressing thoughts and emotions, lowering stress and anxiety, connecting with oneself in a deeper way, coping with grief, and creating something unique and beautiful! 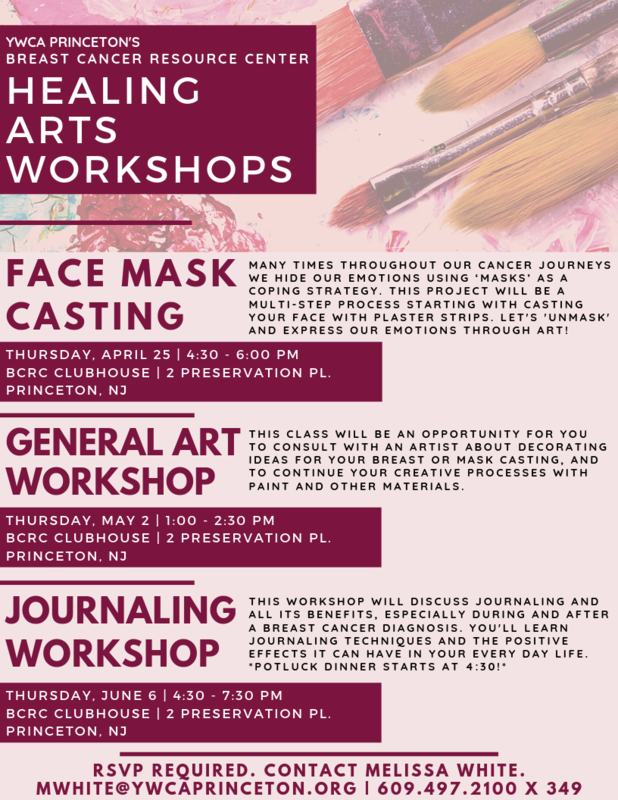 Join us for a face mask casting workshop where we will cast your face with plaster strips to then be decorated in any way you see fit. More details can be found below! RSVP is required. Contact Melissa White at mwhite@ywcaprinceton.org.